support and promote Innovation in Education. 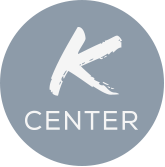 The team offers throughout the year, simple and advanced training or workshops that allow employees and students to learn about the tools, methods or uses of the KCenter. The first contact with the team is during the reception of newcomers at SKEMA (students and collaborators), the opportunity for us to introduce all our activities. Afterward, trainings / workshops are organized within the framework of the KCenter WHAT'S UP for the faculty members but can also be upon request of the collaborators or students. In order to abide the ATAWADAC principles (anytime, anywhere, any device, any content), we are setting up a YOUTUBE channel that allows everyone to learn independently about the methods or tools identified and developed by the KCenter members. Specifically for the K2 platform, the KCenter team offers upon request, weekly "group" training sessions through the course "Help-K2" or "ONE on ONE". In "Help-K2", you will find the tutorials presenting the use of the platform ... likewise, you will find the next training schedules. Finally, let us not forget the virtual classroom training system combining distance learning and classroom training. Teachers, this info graphy "Know everything about virtual classes" is for you.